Do you have certain tools you go to for the history part of your books? Research has become much easier in recent years. There was a time when I sat in a library or archive for many hours, and I still do that at times, but I can find much of what I’m looking for at home now. When I’m starting a new project, I like to go to Curt Bench’s store, Benchmark Books, in Salt Lake City. I try to find the seminal works on a subject: especially the general books that give me an overview of the period I want to understand. The bibliographies in those books guide me to others sources, and the nice thing is, I can sit at home and order most of what I want to find, including many works that are out of print. As I figure out my plot and know more exactly what I need to know, I look for books on nineteenth-century farming techniques or log cabin construction. What’s great, though, is that the Internet is replete with sites that zero in on specific information. There was a time when I had to go to LDS Church archives to find materials that are now published online. (The Joseph Smith Papers, both online, and in published form) have been a big help for me, for example. I write on an iMac with a twenty-seven inch screen, and I type my notes instead of taking them by hand. I can juxtapose my notes and the page I’m writing on the same screen, and then check details without much trouble, simply using keywords to find what I’m looking for. I also find that I Google all sorts of things. If I’m writing a scene that involves an actual person, for instance, such as Eliza R. Smith, I wonder exactly how old she is and instead of looking through books or notes, I Google her name, and spot a bio, which always provides her birthdate. In a few seconds I know exactly how old she was in 1843 (thirty-nine, as a matter of fact). I have to be careful, because web sites are not all of equal quality, and there are mistakes all over the place, but I love to hit a couple of buttons and get instant information. My biggest challenge is that there is more information available than I can possibly read; sooner or later, I have to write the book. What inspires the ideas for your fiction? People often ask me where I get my ideas, but I hardly know what to say. For some reason that’s what my brain does pretty much all day. It grabs on to some little clue and says, “Hey, Dean, you could write about that some time.” I guess it’s a habit of mind from writing for thirty-five years (actually, that’s publishing for thirty-five years; I’ve been writing much longer.) And yet, it seems as though my brain has always been that way. Music, books, movies, the evening news, a conversation overheard, a certain scene or mood or desire: all sorts of things kick off ideas, and then my mind starts turning the idea into a story. In fact, when I’m driving, I fairly often forget where I’m going. My mind is too busy to waste time on such minor things. Runtime Unabridged 13 Hrs. 56 Min. The story and writing in this book is phenomenal. I literally couldn't put it down. I love the 2 different stories in 1 book. Dean, You did it yet again, I loved the last book, this one exceeded my expectations, it is great! I'm so glad you decided to continue the series. Keep it up, I love your storytelling. I've often found that second books in series fall far short of my expectations, but Through Cloud and Sunshine is better than the first volume. Jeff and Abby's present day story is much more engaging in this book, and the connection between past and present is clear and enjoyable. The historical time period covered is a tough one in Church history. 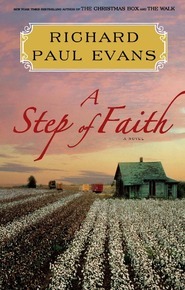 There were so many problems, physical and spiritual, going on, and I think Hughes did a nice job with this portrayal. A few aspects of the history seemed glossed over initially (ie. polygamy), and while this bothered me at first, when it was eventually addressed it made sense that it was written this way because many of the Saints weren't aware of the practice (or had just heard rumors). There are some pretty intense moments in the story, along with some touching and emotional parts. It was great to see the main characters grow and become better people. I also enjoyed that this series and my current Sunday School lessons are coinciding. Some notes at the end of the chapters or the end of the book with the actual historical information would have been a great addition to this series. While I really enjoy historical fiction, I like to have the details to discern fact from fiction right at my fingertips. I look forward to reading more about Will, Liz, Abby and Jeff when the next book is written. I like to read the WHOLE book...including the preface and the author's notes. I find it fascinating what an author puts into a book. I am always impressed with the amount of research an author must do to write about a different place and a different time. Dean Hughes actually spent a season serving a mission in Nauvoo and pulls from those days for this book. He also writes about how this is is 100th book. He has been "at it for thirty-four years." Sometimes he thinks about retiring as an author but says he is not ready "just yet." He includes in this book about how the hardness of writing is the amount of information one can find now with the help of "Google." How much do you put in a book. How do you keep the book from being a historical text book vs. a novel. "I suspect that if Joseph Smith or one of the Apostles from his time were to preach in a worship service today, he might shock a modern congregation. For one thing, he would probably look unkempt. Men often owned one suit of clothes, cut and sewn with rough fabrics, and instead of sending those clothes to a dry cleaner, they brushed them off and kept wearing them. They surely looked rumpled, and they didn't bathe or shave as often as men do now. Their teeth were often bad, and as people grew older, they usually had spaces where teeth has been pulled. But more than anything, their sermons probably would have sounded strange to us. Not only did they speak for hours, but they often speculated, starting with an idea and developing it right on the spot. Joseph Smith was not as flamboyant as some, but he was full of surprises. Many of his speeches offered a new 'take' on the doctrine, and he liked homey analogies, humor, and sometimes a challenge to enemies of the Church." Dean Hughes also tells about the amount of drafts he goes through before his wife, his toughest critic, will say she really likes it. That is the most important endorsement he can receive. And now you know a little more of what authors put into the books that we SO LOVE READING! Nauvoo is supposed to be Zion, but it's proving to be slightly less than perfect for Jeff and Abby. Similarly, their ancestors Will and Liz found Nauvoo to be an unforgiving place. Death, sickness, and poverty were among the top of their worries. Survival was not going to be easy. However, Will and Liz are able to see past that at times to what Nauvoo could be like under the right circumstances. There will be many more struggles than good times though, and Will and Liz will have their faith tested to the max. Likewise, Jeff and Abby will have to work hard to find the good in their situation. Maybe with a lot of work Nauvoo can become the place it was meant to be for all four people. 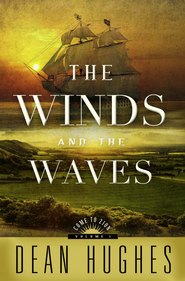 This is a sequel to The Wind and the Waves, but there is a very good summary in the beginning, so you don't feel like you've missed anything. It was exciting to read because these characters are familiar and feel like old friends if you've read the first book. Once again, the main story is with Will and Liz, while Jeff and Abby prove to be a small side story that shows remarkable connection to Will and Liz. There are a lot of struggles here, particularly for Will and Liz. As they struggle through things with the other early LDS members, you get a real feel for the hardships they faced. While Nauvoo was supposed to be Zion, the reality was much different. 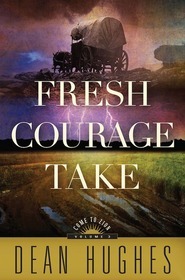 What I really enjoy about these books is the author's choice to take on the negative aspects in church history head-on. There were a lot of bad things that happened (and bad people to go along with them), and none of them are glossed over or ignored. It really shows how hard it can be to keep with faith when flawed people are involved. Will and Liz really struggle with their decision to come to Nauvoo still, and I can't say that I blame them. I really appreciate the struggle that they went through. Jeff and Abby have some equally heart wrenching moments. This book kept me interested to the end, and I can't wait to read more! I absolutely love the way Dean Hughes so perfectly ties his fictional characters with the history of the early saints. He not only teaches us what life was like for them but he also ties in some great ways to apply what they learn to our modern life and makes us truly feel what they felt! He makes his characters real and I can't wait for the next book! This second book by Dean Hughes continues without a hiccup from the first book--especially with the summarizing prologue. The characters stay in step with historical facts yet bring personal feelings and responses missing from bare facts. The one down point for me is the back and forth story between the pioneer couple and the modern couple. Sometimes that transition from chapter to chapter is difficult to follow. Perhaps if Hughes had used a journal from the pioneer couple to spin off the modern couple's experiences and feelings about Nauvoo, the flow would have been smoother. Nevertheless, the book is worth reading and hopefully will be followed by a third book. I absolutely loved the first book of "Come to Zion" and I feel the same way about the second book. I love all of the historical information combined with the story of the Lewis family! I can hardly wait for the next volume. Don't keep us waiting too long Dean. I was waiting impatiently for the continuation of the Come To Zion series and was not disappointed. I love how Dean Hughes can make history come alive for me. I've heard much about the early history of the church, but have not put much thought into the feelings of those involved. This book made me feel involved in the character's lives but also made me consider what life may have been like for those actually involved. I am impressed with their dedication, sacrifice, and willingness to build up Zion, even in the face of extreme hardship. I am eager to learn more from the next book in the series. I received Volume 2 of Come to Zion: Through Cloud and Sunshine as a free ebook. I have previously read many Dean Hughes books including the Children of the Promise and the Hearts of the Children series. I also read volume 1 of the Come to Zion: The Winds and the Waves. 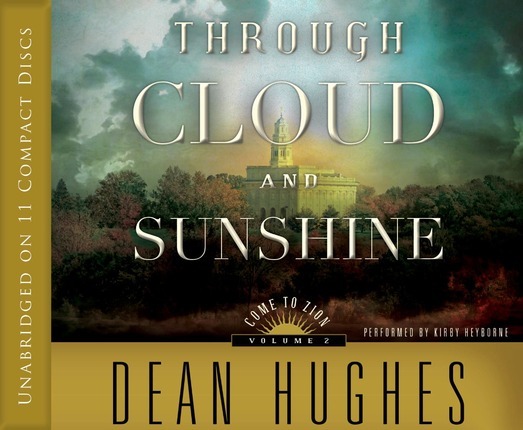 All of the Dean Hughes books are well-written and authentic and Through Cloud and Sunshine is no exception. This is another home run by Dean Hughes. 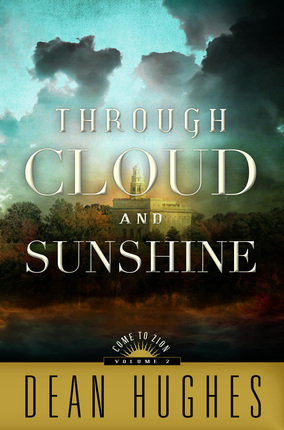 Through Cloud and Sunshine is a faith promoting and uplifting glimpse into the lives of the Lewis family--early and modern day pioneers. The challenges and opportunities that the Lewis family faced and is facing provides an opportunity to reflect on what the gospel of Jesus Christ should mean in our lives. I look forward to reading volume 3. A solid second installment for the series. I received this as a free ebook. I had been anxiously awaiting this second book as I absolutely loved the first one. It was challenging to get the rhythm of the book although the author's synopsis did help. I agree with a previous reviewer that the transition between chapters is a bit rough, but I'm not sure that can be helped when writing simultaneously about two different eras. 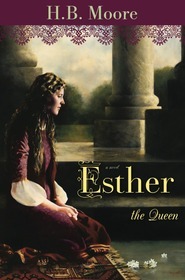 There were parts of the book that moved very slowly for me, but the story was intriguing and written from an interesting perspective setting it apart from other historical novels about Nauvoo. I look forward to the third installment to see what happens to the characters we have grown to love. 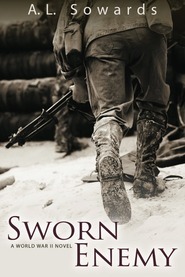 Just as with his other historical novels, Dean Hughes has outdone himself again with this book. It is a perfect blend of historical fact, mingled with his own fictional characters. What makes this series unique is how he ties in his early Nauvoo characters, with his modern day Nauvoo characters. They seem to have the same struggles, trials, and joys. It is a beautiful example of how humanity doesn't differ all that much across time. 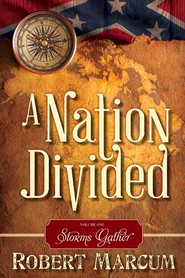 It is a compelling read, and although some of the events that happened in the 1840’s are difficult to write about (and almost as difficult to read – without some tissues close at hand), he does a remarkable and touching job. This is the second book in the series, and he continues perfectly from the first series. He brings the characters and the time period they lived in to life. He gives his readers something to think about, in addition to entertaining. Mr. Hughes has done extensive research on the time period, and what was going on, and how people lived, and it shows in his writing. Dean Hughes brings the story to life, and you can see what is going on, and you cry with them, and laugh with them. A truly good author can make you feel as though you witnessed firsthand what is occurring with their characters, almost as if it happened to you. Dean Hughes accomplishes that. I long to re-visit Nauvoo, so I can walk the streets there with his characters in mind. I loved the first two books in this series - I look forward to the next. No matter what happens, Dean, keep them coming!! It was a wonderful read. I could hardly put it down. Thank you so much Dean. I look forward to more. 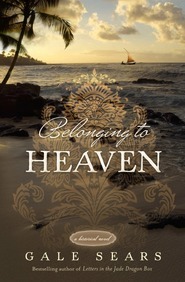 This book is a wonderful continuation of the first book in this series. I love to read stories about the lives of the early saints and the sacrifices they made to be a member of the Church of Jesus Christ of Latter-day Saints. Dean Hughes does an amazing job telling the story of the Will Lewis family and the Jeff Lewis family. Can't wait until the next book! This book starts right where Come to Zion left off, you want to read that one first, although if it's been awhile the author does provide a nice refresher in introduction. Jeff and Abby are living in Nauvoo almost directly across the street from where his grandfather lived, something that I love. Nauvoo holds a special place in my heart, we were able to spend time there the last couple of summers, and I really love the way Dean Hughes paints the town, people and missionaries of Nauvoo in this series. I love both parts to this story, I love the parts about Will and Liz in the 1840's as well as Jeff and Abby in current Nauvoo. Dean Hughes' characters are well written and easy to get to "know." The plot in both parts is well done to, it feels as though it's something that really happened. Dean Hughes really is at his best with this kind of writing. I can't wait for the third installment of this amazing series! The dual story line in this series has caused me to really ponder how life today compares to that of the early saints. I love the real-ness of how Nauvoo is described and the associations among the people there, especially as we read about them side by side with a modern storyline. Dean Hughes allows us a realistic glimpse into the lives of these saints, and it's comforting to know they weren't perfect, but also encouraging to draw from their examples of faith.